I bought a box of mini candy canes to make a White Chocolate Peppermint Cheesecake. 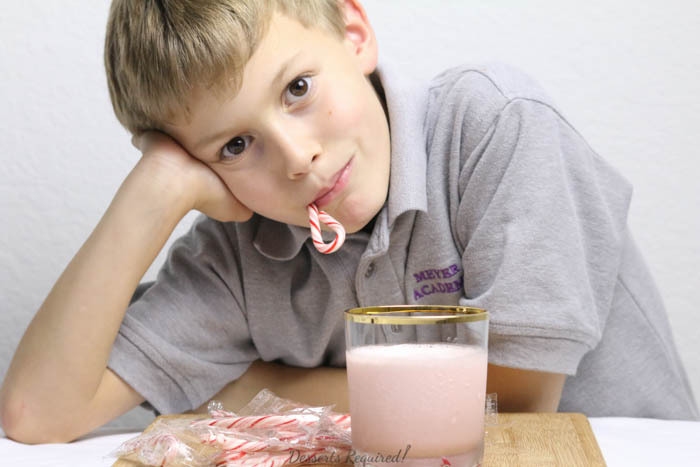 Then Samuel came home and decided we had to do something more immediate with the candy canes like a Candy Cane Milkshake. I remember the proud feeling I had when my three ‘bigs’ came up with recipe ideas. The same held true with Samuel and how thoughtful of him to come up with something so delicious and easy. We already had the candy canes and milk so a quick trip to the grocery store for the vanilla ice cream meant we had all of the necessary ingredients. 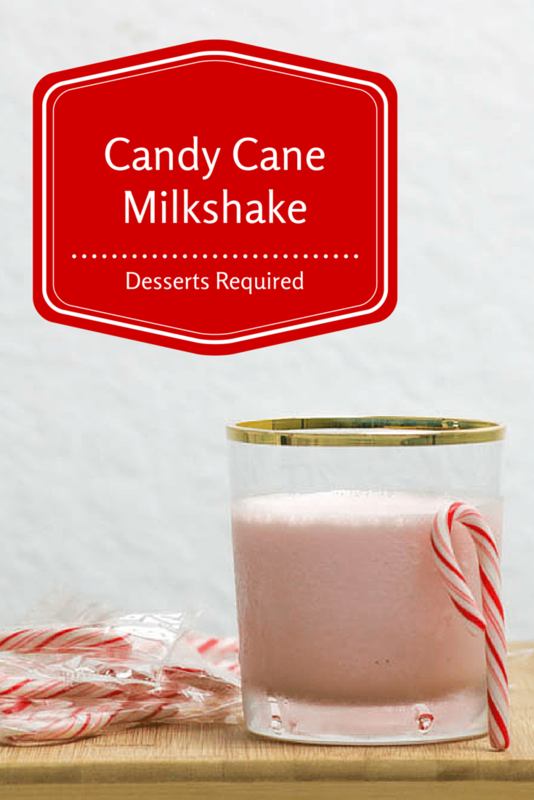 As soon as Samuel’s homework was finished and the dinner plates were cleared and cleaned, we took 5 minutes to make our Candy Cane Milkshakes. That even included the time to unwrap the candy canes. Nothing quite like getting in the kitchen with my baby boy and making exactly what he wanted. I can’t wait to see what he comes up with next time. Place 7 candy canes into a blender. Top with 3 scoops of ice cream. Add 8 candy canes. Top with 2-3 scoops of ice cream. Add the milk. The amount of milk you add will determine how thick your shakes are. Blend all of the ingredients together. Pour into 2 glasses and serve each glass with a candy cane. Yummy, refreshing and leaves your breath minting clean. Thanks so much, Faith! You described the milkshake beautifully. 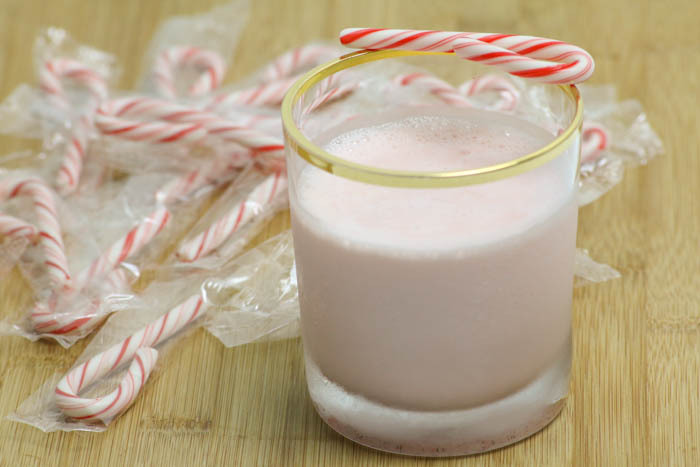 I love this idea of a peppermint milkshake, so refreshingly sweet and minty! YUM! Thanks so much. It really is so refreshing! Going to make this for my girls this Christmas! Looks good! Yup. Totally doing this. And I have all the ingredients in the house too. Great idea, Samuel. Thanks so much, Karen. Samuel does have a knack for figuring out how to enjoy the holidays!